Sign up & learn how to De-Stress instantly! Instantly calm your mind & body. Lower your stress response. Change the channel on worry & negative thoughts. Relax into the present moment. Feel better now! Fill in the fields below and click De-Stress Now! Wohoo! My ADHD book won the GOLD! Share the post "Wohoo! My ADHD book won the GOLD!" 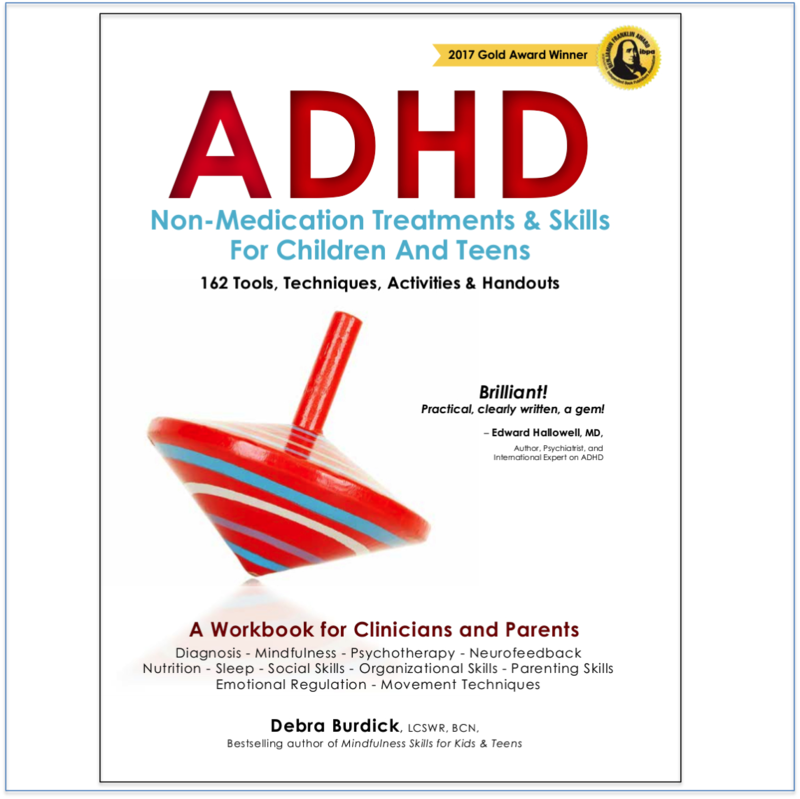 I am sooo excited and delighted that my book, ADHD: Non-medication Treatments & Skills for Children and Teens won the GOLD award in psychology in the 29th annual Benjamin Franklin awards. Over 150 librarians, booksellers, and design and editorial experts – most of whom have decades of book industry experience – judge the books submitted to the IBPA Benjamin Franklin Awards™. And my book won the gold!! Yes, I know I said that already. Just thrilled, that’s all. From close to 1,400 entries, one gold winner (my book) was named in each of fifty-five categories (mine won the gold in Psychology). Silver winners were also named in each category. 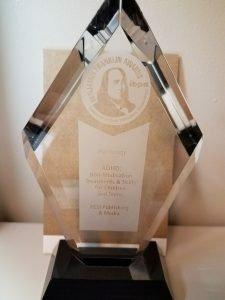 For nearly 30 years, the IBPA Benjamin Franklin Awards™ have been regarded as one of the highest national honors for small and independent publishers. It feels amazing and awesome to have my work recognized and validated! The truth is that there is a darn good reason why this book won the gold! This is an amazingly helpful book. 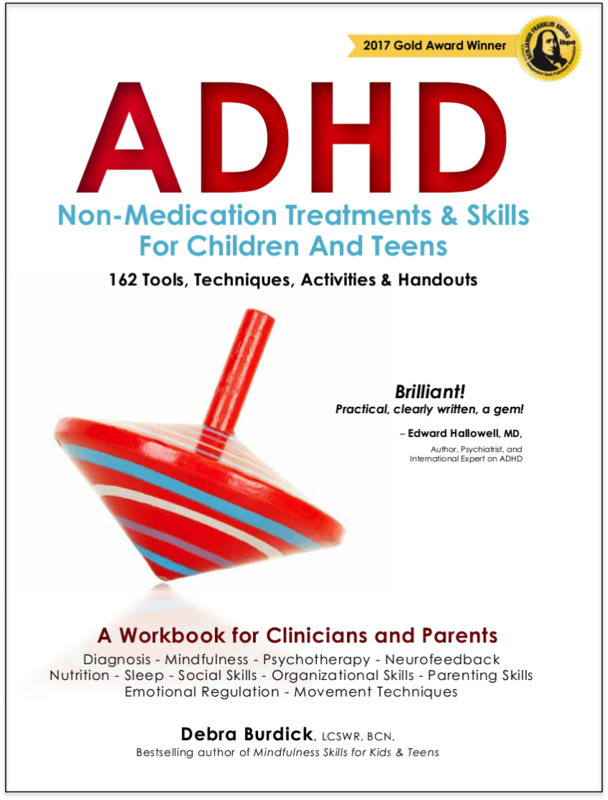 Everyone who parents a child or teen with ADHD or who counsels, coaches or teaches a child or teen with ADHD will undoubtedly find something incredibly helpful in this book and should have their own copy. To find out more about the book check out this video. ** Check out the Concentration Summary below the Table of Contents for 10 great ways to improve concentration. Bonus: There is a link printed in the book that gives you a free pdf download of all the worksheets in the book so you can print them out and use them. Chapter 1: Why This Book Is Needed. What’s Different About This Book? Chapter 2: Tools for Making an Accurate Diagnosis. Chapter 3: Track Treatment Progress: Set the Stage for Success. Chapter 4: Tailoring Psychotherapy for ADHD. Chapter 5: Tools for Emotional/Behavioral Regulation. Chapter 6: Tools for Improving Core Symptoms of ADHD. Chapter 7: Parenting Skills Tailored for ADHD. Chapter 8: Tools for Teaching Social Skills. Tool 8-1: Why Teach Social Skills? Chapter 9: Tools for Improving Organizational Skills. 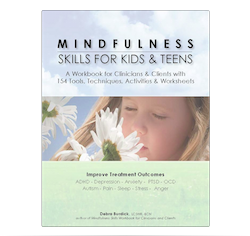 Chapter 11: Mindfulness Skills for Children and Teens with ADHD. Chapter 13: Frontal Lobe/Working Memory Training. Chapter 15: Movement to Optimize Brain Function. Chapter 16: Calming the Arousal State. Chapter 17: Effects of Screen Time on Attention. Chapter 19: Common Food Sensitivities May Mimic or Increase ADHD Symptoms. Tool 19-1: Is Sugar the Culprit? Chapter 20: Healthy ADHD Diet. Chapter 21: Assess and Improve Sleep. Chapter 22: School and ADHD. Here’s a sample from the book – a summary of some great ways to improve concentration. Each of these topics is explored in more detail in the book. Remember, there is a link printed in the book that provides you with a free pdf of all the worksheets in the book so you can print them out and use them with children and teens. 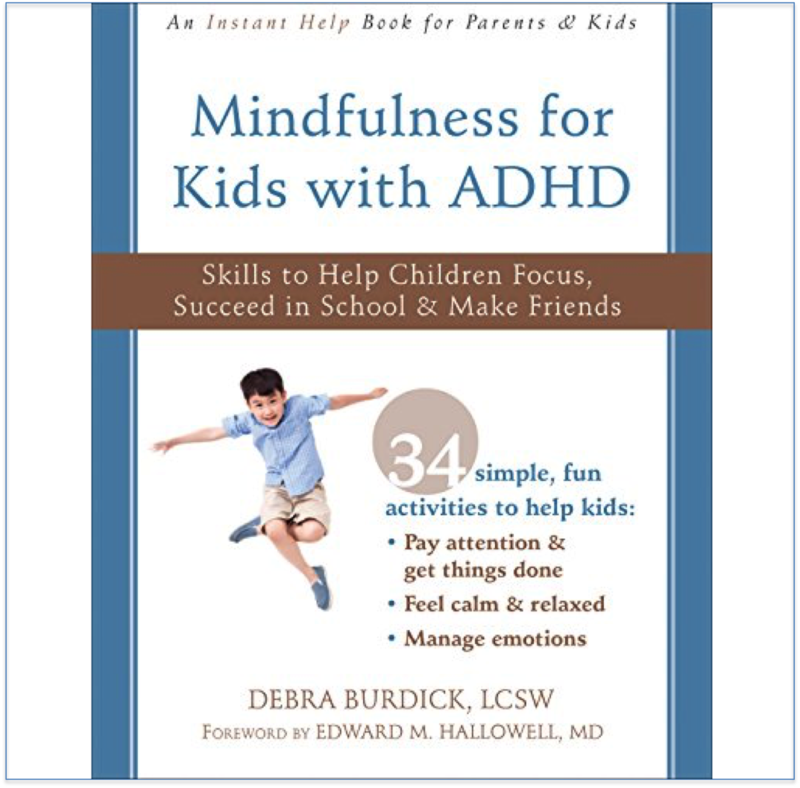 Debra Burdick, LCSW, BCN, also known as ‘The Brain Lady’, is an international expert on ADHD and Mindfulness. She is an award-winning, #1 best-selling author of: Mindfulness Skills Workbook, Mindfulness Skills for Kids and Teens, ADHD: Non-Medication Treatments and Skills for Children and Teens and Mindfulness for Teens with ADHD. She is an international speaker and retired psychotherapist and neurotherapist, who has been helping all ages thrive for over 30 years. I would love to hear your personal experiences with this topic. © 2019 The Brain Lady. All Rights Reserved.